This historic small railroad town, located minutes from Cary, Raleigh, RTP, RDU, and Durham, continues to grow while still retaining its charm. Downtown Apex underwent a major renovation and is listed on the National Register of Historic Places. Incorporated in 1873, Apex got its name for being the highest point on the Chatham Railroad between Richmond, VA and Jacksonville, FL. The Apex Union Depot, built in 1912, is a fine example of late Victorian architecture. 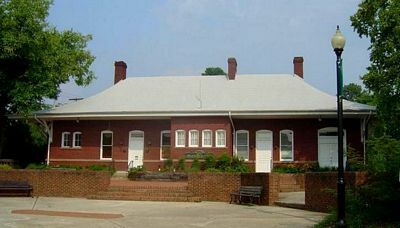 This historic railroad station on Salem Street now houses the Apex Visitors Center and the Apex Chamber of Commerce. The Halle Cultural Arts Center. 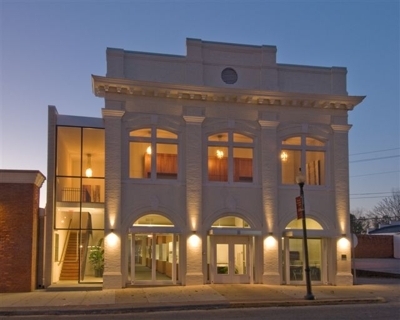 located in the historic Old Town Hall building, has three art galleries, two studio classrooms, and a 135 seat theater. It features monthly art exhibits in the galleries and a variety of performances in the theater. Visitors to Apex can enjoy shopping, a variety of dining options, excellent golf facilities, and various attractions. Nature fans love beautiful Jordan Lake State Recreation Area, located in Apex. There are 12 recreation areas (all have boat ramps) and Crosswinds Marina where boats can be rented. Hiking, fishing, camping, windsurfing, swimming, and picnic areas are also available. It is one of the largest summer homes for American Bald Eagles.